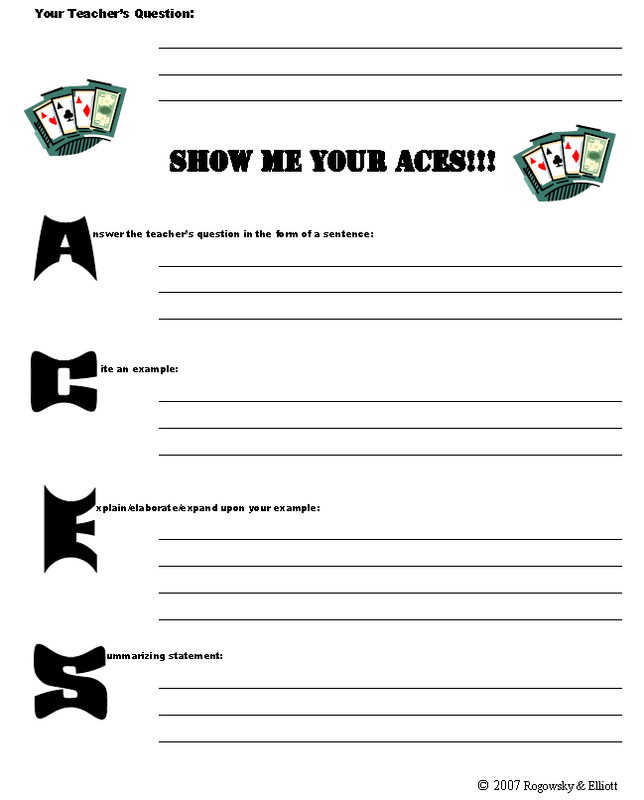 The basicACESworksheet+rubric is a tool for you to use as you first introduce the ACES writing strategy to your students. The ACESparagraph+rubric is the worksheet that students will use the most. It encourages students to expand their answer. It is important to note that after completing the worksheets, it is critical that students transpose their paragraph onto a separate sheet of paper. At this point, students will synthesize the separate parts (A, C, E, and S) into a paragraph. Once students have mastered the ACES paragraph, it is time to build a multiple paragraph essay. The 4paragraphACES+rubric serves as a stepping stone as students make the transition from paragraph to essay.